Product prices and availability are accurate as of 2019-04-19 00:22:57 UTC and are subject to change. Any price and availability information displayed on http://www.amazon.co.uk/ at the time of purchase will apply to the purchase of this product. The scenery of Lakeland has been cherished by painters and wordsmiths for in excess of two centuries. Here in this part of the shop we have books of art, poems, travel writing and photographic images plus others looking at Lake District geology and local architecture. They show many and varied aspects of the Cumbrian Lake District, its mountains, lakes and rivers with the help of a great number of different eyes. We're delighted to be able to list Winter in the Lake District in this section of the site as it shows Lakeland through the eyes, and the camera lenses, of an experienced photographer. Val Corbett is not only a good photographer but she understands the peculiar challenges of photography among the Lake District mountains with their often tricky climatic conditions. Mediocre photography in the Lakes is easy; consistently good photography is another story. In this book Val shows many facets of Winter in this most beautiful part of England. The Lake District landscape is considerably more than the fells and lakes alone. There are buildings, especially agricultural buildings and their associated farmhouses, among the fells. Roads and tracks, both ancient and new, have likewise assisted in forming the landscape as it now is. And more profoundly, the rocks beneath have determined what is now seen on their land. 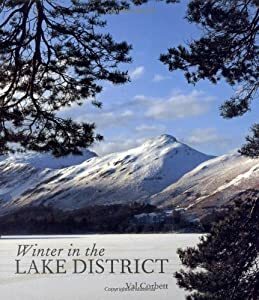 We hope that you'll enjoy reading Winter in the Lake District and that you'll also browse around at the broader listings of books in our Lake District Landscape category.